We are excited to introduce our newest Semi-Permanent Eyelash Extension Course! Eyelash extensions offer a wide variety of benefits and endless possibilities for your business. In this course, we will teach you how to add eyelash extensions to your current business or even how to start your own new business! 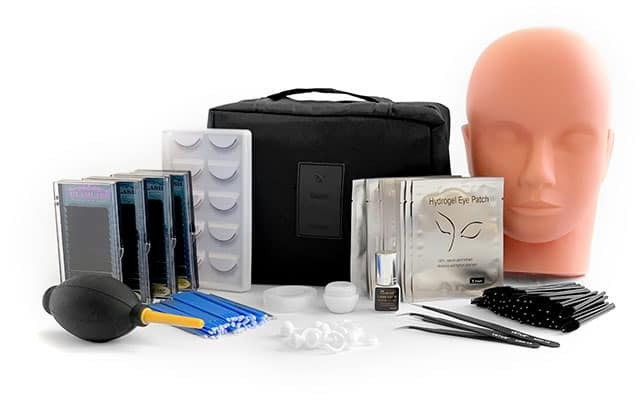 Through professional instruction, you will learn everything you need to know from lash application and techniques to lash types and utensils, plus more! By enrolling in this course, you will get certified in the art and science of classic/single-layer eyelash extension applications, and you will receive personalized attention from our skilled professional instructors. This dynamic course includes a complete eyelash extension starter kit, packed with all the essentials you will need to start out! Our eyelash extension certificate course is excellent for all individuals who want to increase their skill level and gain more clientele by introducing this exciting new service. This course is great for all individuals, including estheticians, makeup artists, stylists, cosmetologists and more. In this course, you will be instructed with the industry’s most comprehensive and up-to-date training. Can be worn during sunbathing, swimming, and visiting saunas. Water, light, and heat resistant. Add this exciting new service to your business and increase your revenue immediately! Lash artists can make over $100,000 a year, as lash extensions require monthly touchups, guaranteeing a steady stream of repeat clients! The earning possibilities are endless! The eyelash extension business has experienced an explosion onto the national beauty service scene, and you should capitalize on it now—not tomorrow, but right now! Get certified with our NEW EYELASH EXTENSION COURSE!